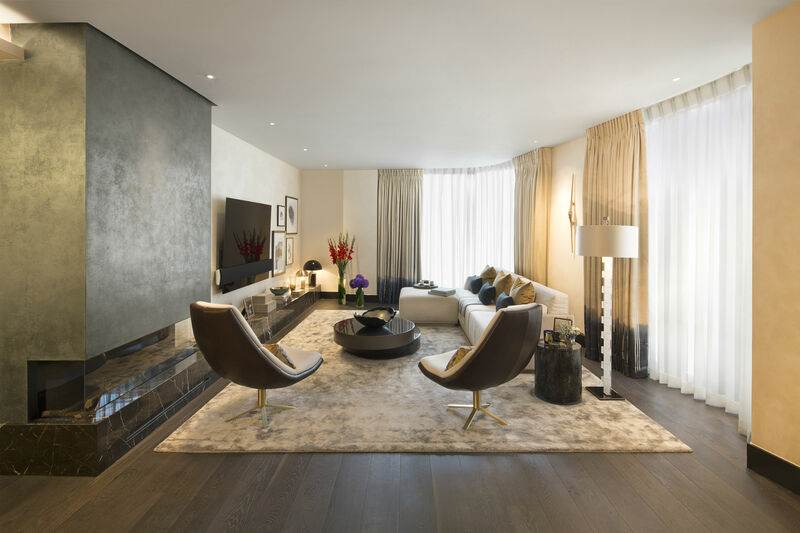 The Mansion’s new show apartment has been unveiled by Clivedale London, ahead of the luxury development’s completion at the end of 2018. 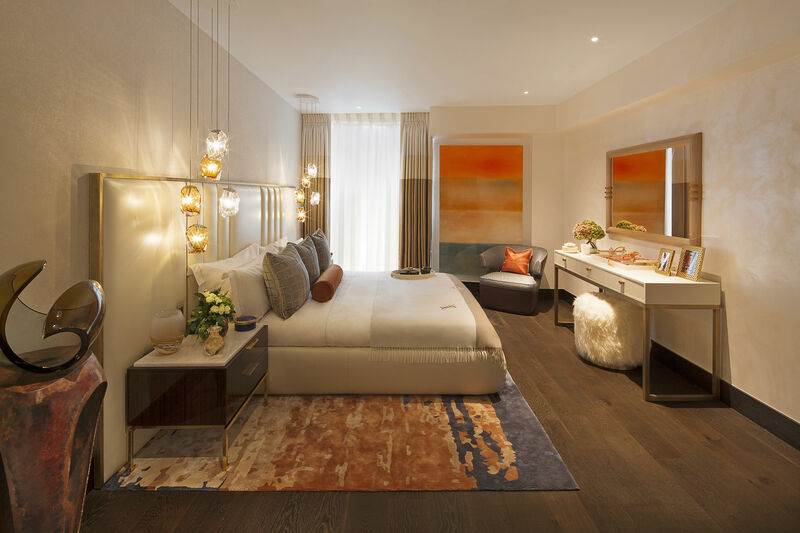 Mayfair-based developed Clivedale London has recently revealed its highly anticipated showroom at The Mansion, the developer’s first residential project. Described as “one of London’s most exclusive addresses”, The Mansion is situated in Marylebone at the food of the famous Marylebone Lane – just footsteps away from the luxurious Mayfair and around the corner from Oxford Street. Scheduled for completion at the end of 2018, The Mansion will boast 23 luxury residences, which range in size from studio apartments to two spectacular penthouses. Every property will have exclusive access to a range of royal brand partners and impressive amenities, including grocery delivery services from Fortnum & Mason and a 25-metre pool – Marylebone’s longest private indoor swimming pool. The Mansion show apartment is situated on the second floor of the seven storey building and offers a look into what future residents can expect from luxury development. Its interior build has been created by award-winning international agency, Arney Fender Katsalidis, while the furnishings were selected by Clivedale’s in-house design team. No detail has been overlooked by the design team behind The Mansion’s show apartment, who have married contemporary and traditional materials to create an elegant, bold interior. Floor to ceiling windows flood the space with natural light; bronze and rose gold elements complement the use of leather, marble and oak to create a rich, chic colour palette throughout the space. 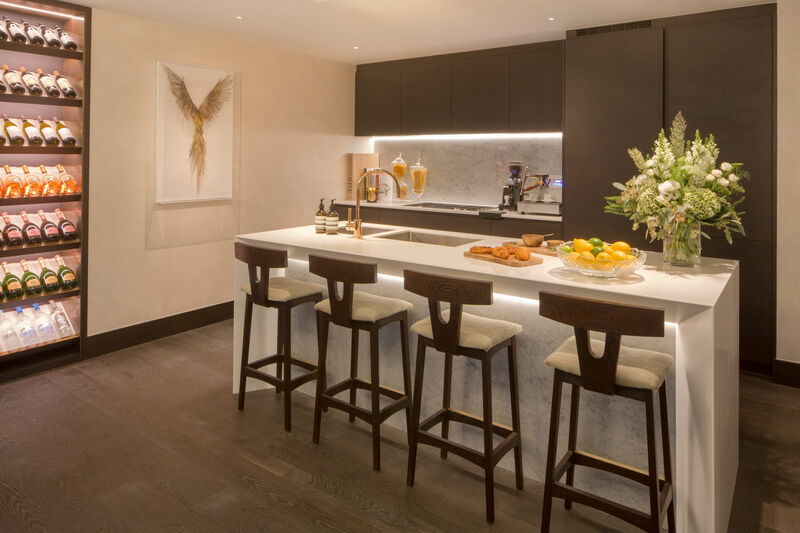 Gaggenau appliances have been integrated into the bespoke dark oak kitchen unites, while white Corain worktops and marble splashbacks in the kitchen create the ideal space for dining and entertaining. 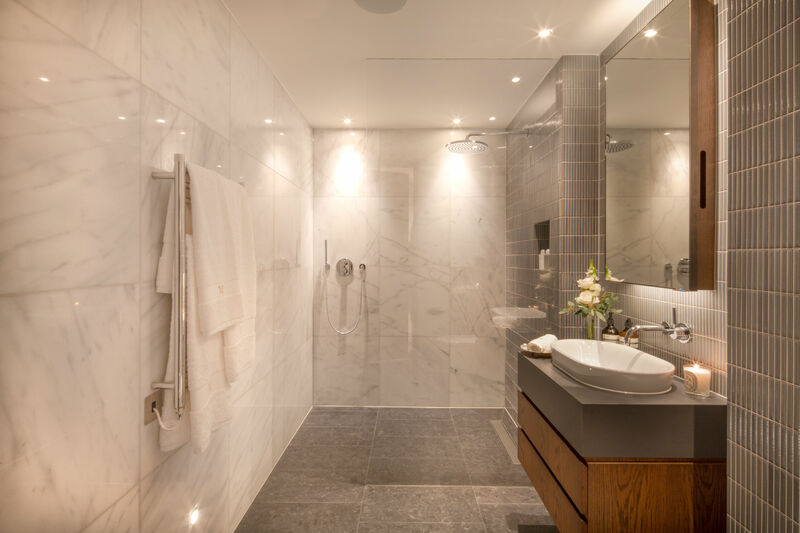 In the bathrooms, the team have used Japanese feature tiles, Dornbracht brassware and Kaldewei baths to create a feeling of tranquility and sophistication. The show apartment also includes ribbon gas fireplaces, a Lutron lighting system and a communication system offering a direct link to The Mansion’s 24/7 concierge. While the show apartment can be purchased fully furnished, the other remaining residences in The Mansion will be sold unfurnished, with future residents able to choose between three interior colour schemes for their property. The first scheme, The George Collection, has been inspired by mid-century aesthetics blended with graphic modernity, and features darker tones, soft fabrics, velvets in atmospheric colours and black metal detailing. The second scheme, The Marylebone Collection, was inspired by the independent character of The Mansion’s local high street; it brings together iconic pieces from the world’s finest designers, creating an environment that matches creativity with comfort. The final scheme, The Wigmore Collection, takes inspiration from the elegant Georgian buildings of nearby Wigmore Street, and expresses the charm and sophistication of 21st century Italian design. Clivedale mentions that it "will happily amend the schemes for buyer’s requirements". Among the other special touches, residents of the luxury development will also benefit from an exclusive partnership that Clivedale have with Bentley, which will provide access to a handcrafted, chauffeur-driven ‘house car’ for drop-off and pick-up services within central London.